provides strength while enabling signifi cant weight reductions. Wireless connection between the instrument and the PDA makes taking readings fast, simple and has none of the issues associated with fi eld connections. Strong but extremely light the instrument can be easily carried and used by one person. 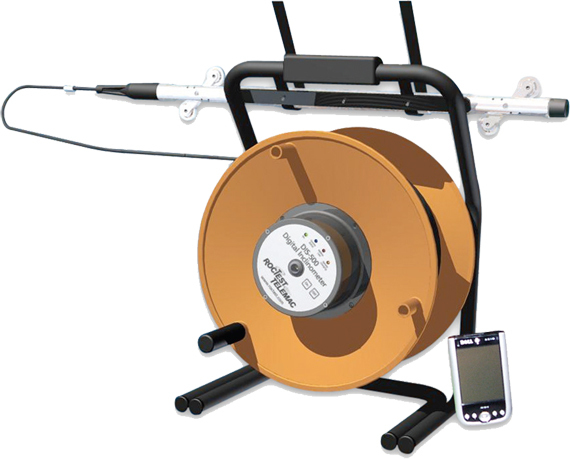 The modern answer to Inclinometer data gathering. Digital from probe to PDA overcoming cable electrical resistance and noise issues. No field connections required, avoids water ingress and connection failures. PDA allows easy interface with most offi ce systems and applications.